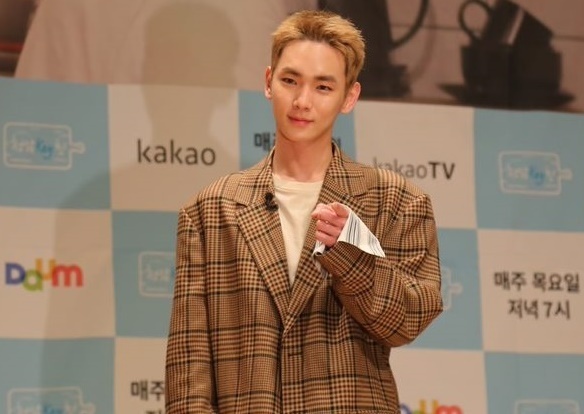 Key from boy band SHINee wants to keep it real with guests on his new “cooking talk show,” titled “Cheongdam Key-chin” and set to air on Kakao TV every Thursday night starting this week. Viewers will get to see the singer welcome guests from various backgrounds to his kitchen in the nice Cheongdam neighborhood in southern Seoul -- celebrities, models and even some of Key’s ex-colleagues. “Cheongdam Key-chin,” as the singer’s very first show, will give a rare voice to young idols, who have few places where they can be honest and share their stories, director Kim Dong-wook said during a publicity event Wednesday. As people often feel comfortable sharing personal stories over a meal, the show’s creators hope to provide a much-needed media space for discussions between celebrities. “I went to a real estate agent and found the place myself. I asked the agent to find a place that doesn’t look like a TV studio, but more like a space of my own,” Key said during the event. 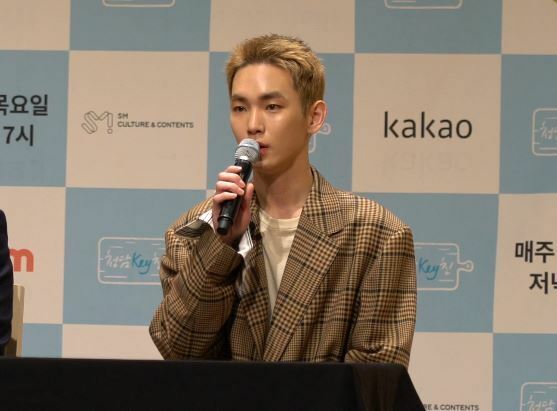 Key hopes his guests will feel comfortable enough to discuss heavy topics like their worries or their artistic direction, he added, saying he also holds out hope that his show might eventually become a seasonal show. The singer took an active role in the making of the show, and the director said he had let Key take the wheel. As a source of inspiration, Key acknowledged comedian Park Na-rae, who has recently enjoyed great popularity as a TV personality for her quick wit and impressive cooking skills. Key said he often cooks Western and Southeast Asian foods, but he’s been trying his hand at Korean food recently. “Due to work, I often travel around the world and as I got to imitate dishes I tasted, I began to develop an interest in cooking,” he said. Key told the viewers to look out for his signature “tomato wine chicken stew” on the pilot episode at 7 p.m. Thursday.